PVC Skirting Profiles made of PVC and installation to the wall base, that can be combined use with wall bumpers. It is easy to install and you can choose any color. 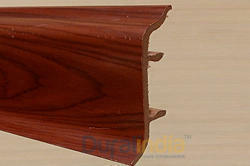 Looking for Skirting Profile ?